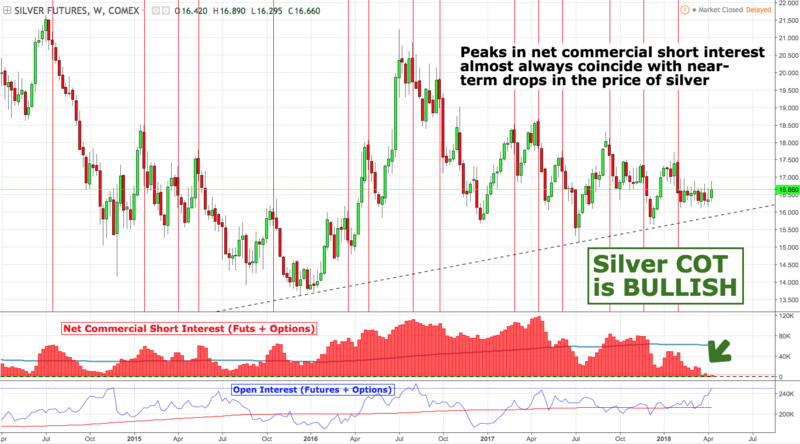 Silver is technically bearish, but fundamentally bullish. The silver COT report continues to be bullish, and including physical storage, the commercials are net long. 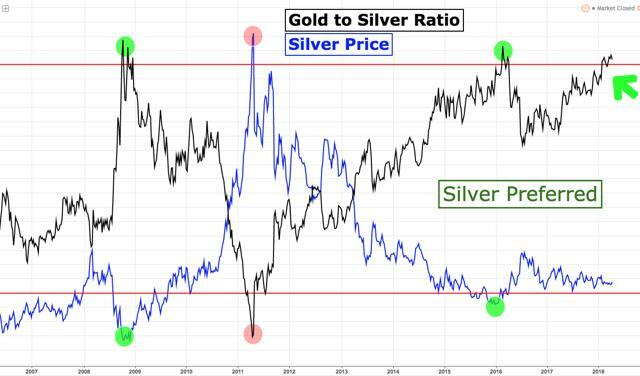 The gold-silver ratio favors silver. 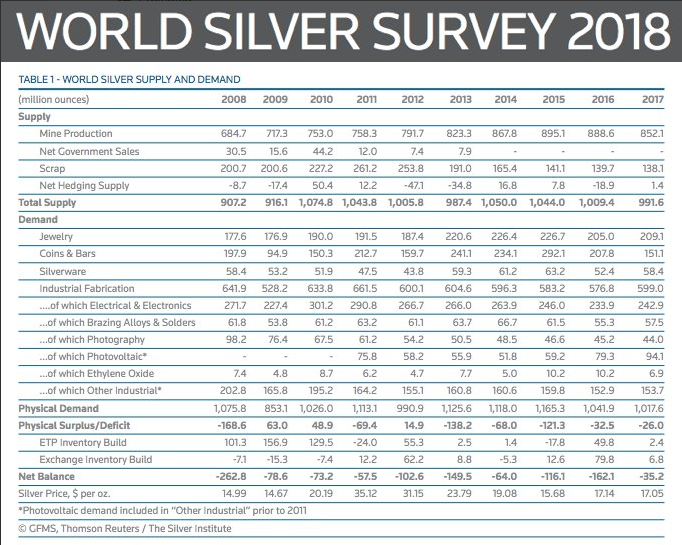 Silver demand exceeds supply every year. 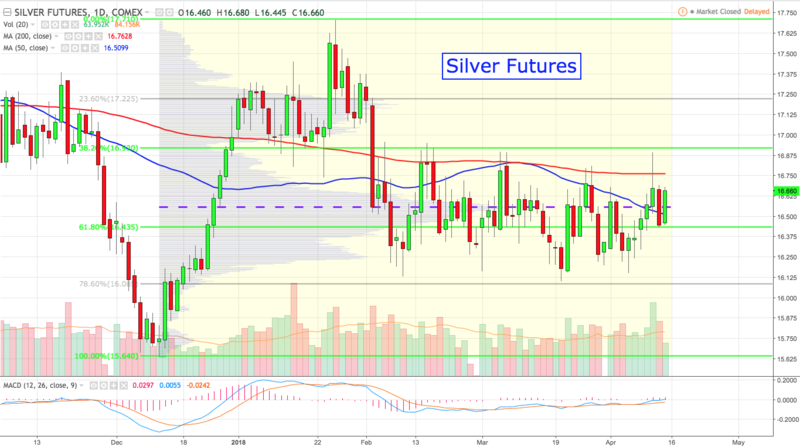 After silver reached a recent low in December 2017, the price rallied forcefully above its 50-day and 200-day moving averages in late 2017 and early 2018. After peaking in late January, silver has fallen back below its key moving averages, and has struggled to overtake them. As can be seen in the volume profile above, silver is currently right above its Point of Control (purple dashed line) near $16.55/oz. Silver is technically bearish, so momentum and managed money traders are positioned short. Most investors understand that in the short-run, markets move on technical, rather than fundamental factors. Nevertheless, there are many fundamental reasons to like silver at the moment, and we will cover a few of them here. The weekly Commitment of Trader’s (“COT”) report provides information on how the “smart money” commercial traders are positioned in the futures market. When the commercials have many short positions, then price tends to reach a peak. When the commercials reduce their short positions to a minimum, then price tends to rally. Silver commercials are at historically low levels in their short interest, which is bullish from a medium-term perspective. The eight largest traders in COMEX silver (who usually control as much as 40% of the contracts) continue to be net short. 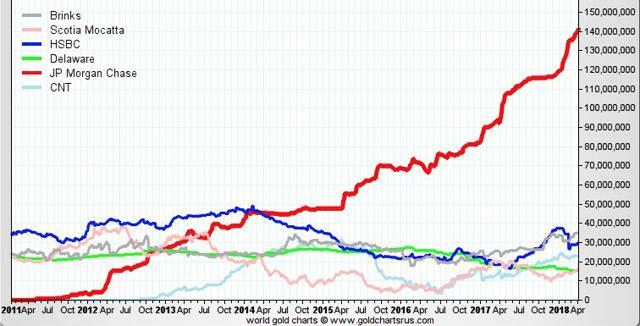 In the 4 th quarter of 2014, these traders were actually less short COMEX silver than they are now. After this, the silver price rallied briefly before continuing a long, downward grind over the next year. Therefore, the historically low commercial short position does not necessarily mean that silver prices are going “to the moon,” as some market commentators insist. On the other hand, the silver storage situation for the bullion banks has changed considerably since late 2014. As you can see in the chart below, JP Morgan in particular has greatly increased its silver bullion in the COMEX vaults over the last several years. All of the silver storage reported to be in COMEX vaults is more than 263 million ounces, while the current “producer” net short position is only 106 million ounces. This is a ratio of 2.5 to 1. The bullion banks can therefore be assumed to be net long silver. 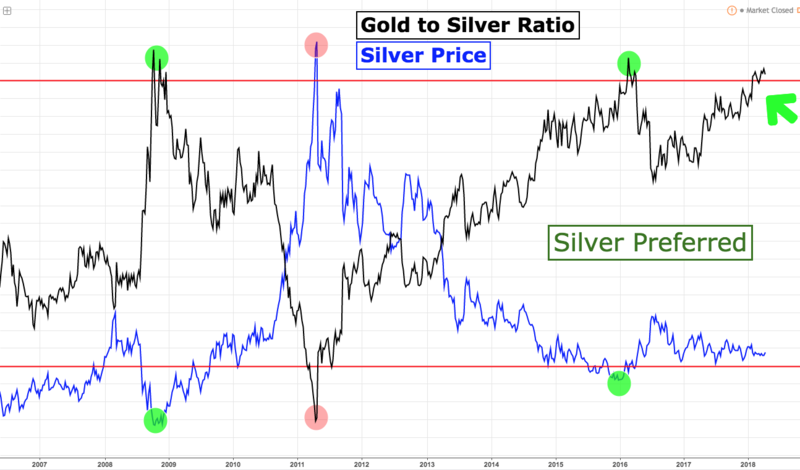 Over the last decade or more, when the gold-to-silver ratio is near 80:1, this has tended to be the point at which it peaks. Of course, the ratio could continue to rise, but in terms of mean-reversion, it seems clear to us that silver is preferred to gold at the moment. Finally, it is notable that more silver is consumed and/or purchased for investment each and every year (see the Net Balance row below). Photovoltaic demand for silver is now about 10% of annual supply. None of these fundamental factors for silver should necessarily compel an investor to rush out and invest tomorrow. 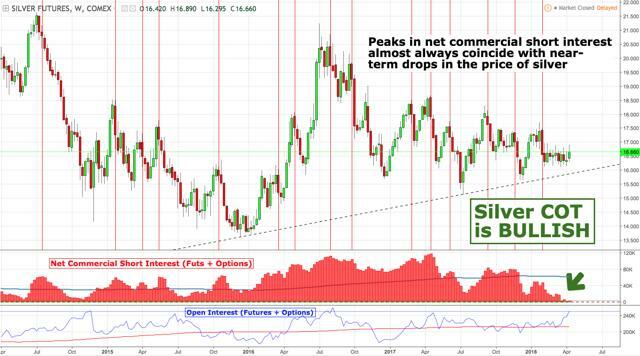 Technical factors will likely continue to dominate the short-term price movements in silver. On the other hand, we also believe that fundamentals will have an influence in the long-run.